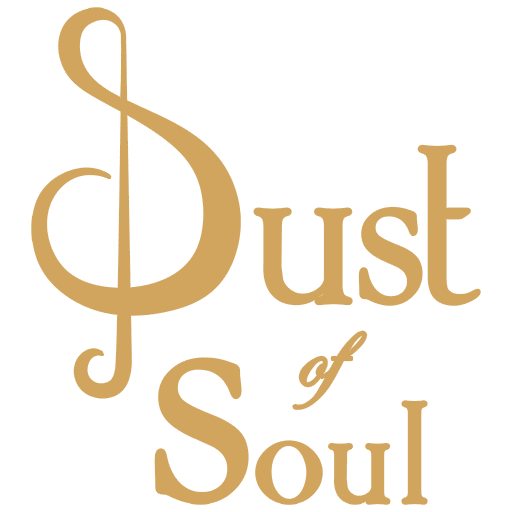 The DUSTOFSOUL.COM website (the “Website”) is owned by Dust of Soul Stäuble & Odermatt, a Swiss Private Partnership company (entity of two private people acting under a simple partnership agreement – joint venture agreement). CEO & Founder are Ms SASKIA STÄUBLE and Mr MICHAEL ODERMATT, both residing in Switzerland. The Website is originally designed by DIAGONAL marketingagentur.ch, a Swiss Limited company (Ltd.). Dust of Soul works together with various photographers around the world. Photographs published on the Website were taken during a photo-shooting held at the Grandhotel Giessbach (Visit the Official Website of the Grandhotel Giessbach: www.giessbach.ch) by photographer Derrick Feole (Visit the Official Website of Derrick Feole: www.feoleimages.com). The Make up artist & hairstylist was Jessica Krenn (Visit the Official Website of Jessica Krenn: www.jessicakrenn.ch). Pianist MiKey is dressed by Cleofe Finati by Archetipo (Visit the Official Website of the Archetipo Group: www.archetipo.com and www.cleofefinati.com). In 2015 Dust of Soul works together with photographer Sandra Oberer (Visit the Official Website of Sandra Oberer: www.sandra-oberer.com). The photo-shooting was held at the Château Gütsch (Visit the Official Website of the Château Gütsch: www.chateau-guetsch.ch). The tailor for singer Dusty’s ball dress was Laida Preni by Laida Preni Couture (Read the blog auf Laida Preni Couture on the Official Website of Photographer Sandra Oberer: www.sandra-oberer.com/blog/mode-mit-stil). Pianist MiKey is again dressed by Cleofe Finati by Archetipo (Visit the Official Website of the Archetipo Group: www.archetipo.com and www.cleofefinati.com). This information may not apply to photographs published in the photo gallery, in the news articles, or the press releases. The publication of the name of the photographer as well as further information such as the company name or the website is in consent between each photographer and Dust of Soul. Please read the following carefully to understand our policies and practices regarding the treatment of personal information. This Policy does not apply to the information you provide to Dust of Soul or to the information that Dust of Soul may collect offline and/or through other means. It also does not apply to the information collected by third party website or application that may link to or be accessible from the Website. By using the Website, you agree that whenever you submit personal information via the Website, Dust of Soul can collect, use, and disclose that information in accordance with this Policy. Dust of Soul does not collect your personal information from you without your knowledge or permission and does not ask you for such information to access and use the Website. Like many websites, the Website may actively collect and store personal information that you supply voluntarily while on the Website, including sharing webpages via e-mail or by permitting you to communicate directly with Dust of Soul via e-mail in connection with the Website. Records and copies of your correspondence (including e-mail addresses), if you contact Dust of Soul. As you navigate through the Website, certain information may be passively collected (that is, gathered without you actively providing the information). Dust of Soul may collect information about your computer and internet connection, including your IP address, operating system and browser type, for system administration. This is statistical data about the users’ equipment, browsing actions and patterns, and does not identify any individual. The Website may use “cookies” to collect information about how the Website is used which allows Dust of Soul to enhance your experience and the Website’s user-friendliness. A “cookie” is a bit of information that a web browser can store on your hard drive that helps the Website remember information about you and your preferences. A cookie cannot retrieve any other data from your hard drive, pass on computer viruses, or capture your e-mail address. If you are simply browsing the Website, a cookie only identifies your browser. Pages of the Website may contain electronic images known as web beacons (also referred to as single-pixel gifs) that permit Dust of Soul to count users who have visited those pages and for other related Website statistics (for example, recording the popularity of certain Website content and verifying system and server integrity). Web beacons are not used to access your personal information and data on the Website and are only used to compile aggregated statistics concerning use of the Website. Subject to the terms of this Policy, Dust of Soul may use your information and personal data to improve the content of the Website, to customize the Website to your preferences, to communicate information to you (if you have requested it), for our marketing and research purposes, and for the purposes specified in this Policy. Any information and personal data you provide through the Website will not be sold, rented or published. Dust of Soul reserves the right to modify, alter or otherwise update this Policy from time to time and you agree to be bound by such modifications, alterations or updates. If this Policy changes, the revised policy will be posted on the Website. Please check back periodically and/or before you provide any personally identifiable information. Dust of Soul owns the Website. Dust of Soul owns or has rights to all of the wallpaper, icons, characters, artwork, images, graphics, music, text, videos, and other content of the Website (the “Content”), and all HTML, CGI and other code and scripts in any format used to implement the Website (the “Code”). The Content and Code of the Website are protected by copyright. Except as set forth herein, you may not copy, modify, upload, download, transmit, re-publish, display for redistribution to third parties for commercial purposes, or otherwise distribute any Code or Content from the Website without the prior written agreement of Dust of Soul. You may not use the Content or Code from the Website for any purpose other than those set forth herein. All names, logos and trademarks which appear on the Website are the property of Dust of Soul. You may not use them in any manner which is likely to cause confusion or in any other way without the prior express written permission from Dust of Soul. While Dust of Soul makes its best efforts to include accurate and up to date information on the Website, it makes no warranties or representations with respect to the content of the Website, which is provided “as is”. To the fullest extent permitted by law, Dust of Soul shall not be liable in any manner for direct, indirect, incidental, consequential, loss of data, income or profit, punitive damages and/or claims of third parties resulting from the use of, access to, or inability to use the information and/or the products offered on the Website or any damages arising out of or in connection with the use of the Website. Furthermore, Dust of Soul assumes no responsibility and shall not be liable for any damages to or viruses that may infect your computer equipment or other property on account of your access to, use of or browsing in the Website or your downloading of information from the Website. Dust of Soul is not responsible for the content of any site linked to or from the Website. Linking to any other website is entirely at a user’s own risk. While Dust of Soul may provide links on the Website to other sites, the inclusion of such links is solely for the convenience of the user. Dust of Soul makes no representations and disclaims all warranties, express and implied, as to the accuracy, validity, suitability, legality or otherwise of any materials or information contained on such sites. Any dispute over the content or use of the Website shall be governed by the substantive laws of Switzerland and the jurisdiction and venue of any such action shall be vested solely before the ordinary courts of the Canton of Lucerne.